Ms. Tolchin has practiced exclusively in immigration law since 2001. 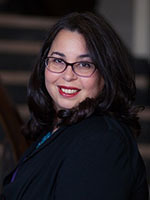 Prior to establishing the Law Offices of Stacy Tolchin in December 2010, Stacy was a staff attorney with Van Der Hout, Brigagliano & Nightingale, LLP, a San Francisco-based immigration law firm. Ms. Tolchin specializes in complex deportation cases and primarily litigates before the Courts of Appeals and United States District Courts, as well as the Executive Office for Immigration Review. She also speaks regularly at conferences regarding federal court immigration litigation, removal defense, and national security immigration cases. Araujo v. INS, 301 F. Supp. 2d 1095 (N.D. Cal. 2004) (Federal Tort Claims Act action finding that the United States government was liable for damages to a non-citizen for unlawful deportation).